During the conferece, one day will be chosen to visit different sights of Almaty. Medeu is the biggest high-mountain sportscompex in the world. Medeo lies 1,691 metres above sea level, making it also the highest skating rink in the world. It has 10.5 thousand square meters of ice and utilizes a sophisticated freezing and watering system to ensure the quality of the ice, what allows to achieve the best results in skating. During the whole working period, more than 200 world records have been set here. Nowadays Medeo is one of the most popular places for tourists in Almaty. Besides skating, visitors also can admire the spectacular nature view while walking around. 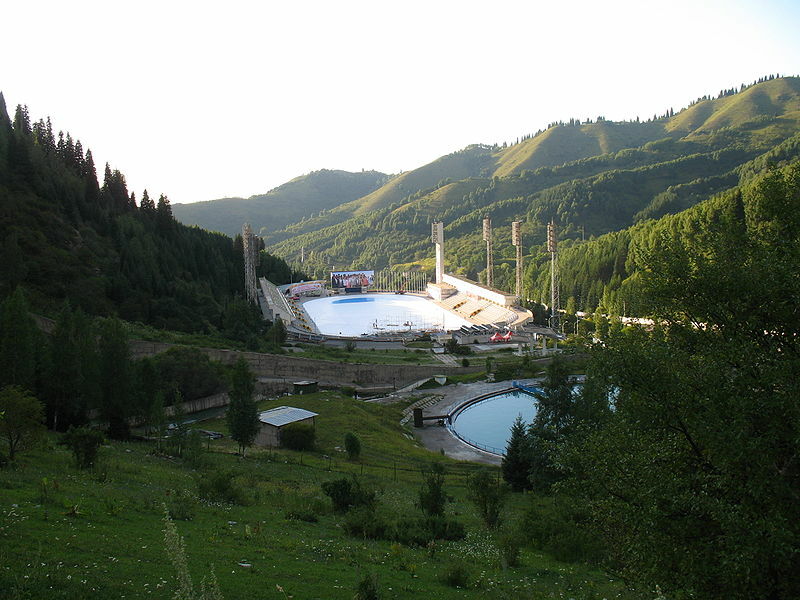 Shymbulak is a ski resort near Almaty. It is located in the upper part of the Medeu Valley in the Zaiilisky Alatau mountain range, at the elevation of 2200 meters above sea level. Resort offers you a wide variety of slopes for everyone: from novice to profesional. Every slope is served with automatic ski lift. Experienced instructors will gladly help you with equipment and teach you the skills to enjoy more of the mountain. You can learn all styles: freestyle, slopestyle, carving, or just a refresher to start your holiday right. Rentals of ski and snowboard are available along with locker facilities. Located in the resort is a hotel, restaurants, cafe, and coffee shop with a variety of cuisine to suit all tastes. Arasan sauna complex is being one of the Alamty sight for more that 30 years. Complex includes three uniqe types of saunas: Russian Banya, Finnish Sauna and Oriental Sauna. If you love heavy steam and fragrance of birch besom, Russian Banya is a choice for you. Finnish Sauna will bring you a great pleasure and benefits. For those, who want to relieve and cure their joints, Oriental Sauna is the best choice.